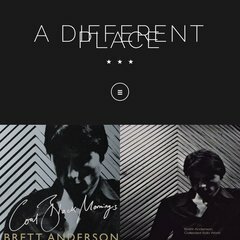 Topics: Artmagic – Official, Brett Anderson – Google+, Brett Anderson – Lastfm, Brett Anderson – Official Store, Brett Anderson Official – Website, and Suede – Google+. a-different-place.co.u.. Suede album reissues – Full tracklistings! It has 2 DNS records, ns26.eukdns.com, and ns25.eukdns.com. It is hosted by Simply Transit Ltd (England, Berkshire,) using Apache web server. A-different-place.co.uk's server IP number is 91.186.0.3. PING (91.186.0.3) 56(84) bytes of data.